Ever heard of Eye Movement Desensitization and Reprocessing Therapy? I’ll admit, it’s a mouthful and it sounds weird. Before getting trained in the technique, I thought, “someone looks at some lights and magically feels better?” I was skeptical to say the least. But I was working in a practice with other practitioners who valued empirically validated research were using EMDR with their clients and having powerful results. Eventually, I gave in. And I’m glad I did. EMDR is a proven, research-based therapy designed to reduce or eliminate the pain caused by traumatic experiences. Trauma is defined as a one-time stressful event, or the culmination of several small, repeated events. Trauma shapes how a person sees themselves in relation to the world they live in, the emotions they feel, and how they react. How Does The Process Work In Therapy? 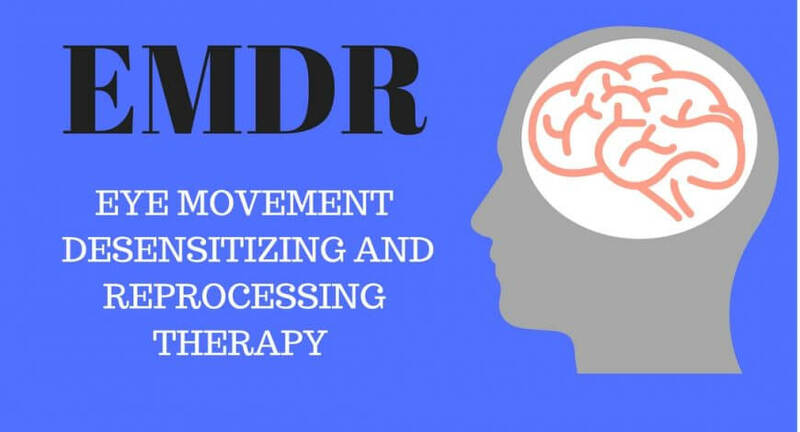 Generally, EMDR combines talk therapy, deep breathing, and bilateral stimulation of the right and left hemispheres of the brain (activating each side of the brain through hand held vibrating pods, or a moving visual target that the eyes track left to right). The goal is to stimulate or “light up” each side of the brain alternately while you talk about difficult stressors or memories. 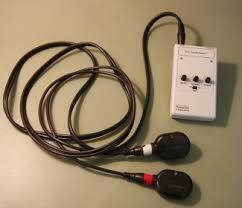 Some clinicians use a “light bar” and/or headphones that provide an auditory component to bilateral stimulation. This may sound a lot more complex than it actually is. In therapy sessions with clients, I work with them to identify situations that cause them discomfort while their brains are being stimulated through EMDR techniques. EMDR is designated as an “effective treatment”by the American Psychiatric Association, the World Health Organization (WHO), the U.S. Department of Veterans Affairs and Department of Defense, the U.S. Department of Health and Human Services (HHS) and and other international health agencies (www.emdria.org). EMDR is not the only form of therapy I use in my practice. However, because of the specific techniques used to reduce the physiological symptoms of negative emotions, I find it to be incredibly effective. If a person comes to see me and reports this “heart-head connection” problem related to previous experiences, it is at the top of my list of interventions. EMDR requires less talking. Oftentimes clients say that it’s difficult to put their feelings or experiences into words. EMDR allows them to move through some of these memories without relying as heavily on the verbal component. Because of the nature of the bilateral stimulation, EMDR tends to help people move through emotional distress from their experiences with less discomfort. One reason that people stop therapy prematurely is because it can be very emotionally taxing. Using EMDR can make it easier to talk about the difficult things that bring a person into my office. Should You Google Your Therapist? Guilty Of Phubbing? Stop Salivating To Your Phone!